A prosecutor has told jurors there is “clear and compelling” evidence to prove the guilt of a man standing trial for trying to abduct two little girls from a playpark. Advocate Depute Bernard Ablett told a jury that John Bermingham (51), tried to take the two 10-year-old schoolgirls from Glenburn Road, Falkirk, in May 2017. The High Court in Edinburgh heard Mr Ablett say today (Wednesday) that Bermingham had also punched a 17-year-old male who allegedly stopped the accused taking the youngsters away. He praised the teenager and Viper MacDonald (49), who restrained Bermingham during the incident before the police arrived to arrest the accused. In his closing speech to the jury on the fourth day of proceedings, Mr Ablett made reference to allegations that Bermingham asked two girls to help him find a jacket which he said he had lost. The accused was said to have offered the children money to help him find the piece of clothing. Mr Ablett also referred to allegations that Mr MacDonald saw Bermingham trying to take the girls away across a burn and into woodland. He was then said to have gone outside and enlisted the help of a teenager to restrain Bermingham. Mentioning evidence in which a police officer told the court Bermingham was found with condoms and sweets in his possession, Mr Ablett said: “There is clear and compelling evidence that the accused was trying to abduct two girls and there’s a clear inference to be drawn that the accused was trying to entice them away from home with condoms tucked into the waistband of his trousers. Bermingham, whose address has been given in legal papers as being a prisoner of HMP Barlinnie, denies charges of attempted abduction and assault. Mr Ablett addressed the jury after defence advocate Keith Stewart QC told judge Lord Beckett that he didn’t intend to lead any evidence on behalf of his client. During his 45-minute speech, Mr Ablett said Mr MacDonald and the teenager should be thanked for their role in stopping the alleged abduction attempt. He also told jurors Bermingham’s alleged denials of wrong doing were untruthful. Prosecutors claim that on May 19, 2017, at Glenburn Road, Falkirk, Bermingham did “with intent to commit a sexual offence” attempt to abduct two girls. 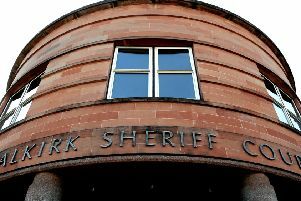 Prosecutors claim he pretended to them that he had lost his jacket and offered them money and that he induced them to go with him across Glen Burn and into woodland. The Crown also claims that, on the same date and at the same location, Bermingham assaulted a teenager by punching him on the head. Bermingham has pleaded not guilty to the charges.